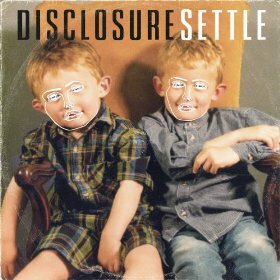 Settle, the latest album from the UK duo Disclosure has become one of the most renowned electronic albums released this year. Not only is the album setting aflame music charts, but it is also receiving well-deserved critical acclaim. The dance-heavy sonic soundscape is so electrifyingly fiery that each track moves with such a fresh, rhythmic taunt of vibrant bass lines, dizzying yet dance-inducing rhythms, funky house beats and synthesizers, it stuns. The album is executed with such vibrancy it also never loses momentum. The beautifully polished “Help Me Lose My Mind,” featuring London Grammar, moves with such an electro-pop funk attitude and yet remains endearingly romantic. AlunaGeorge ignites “White Noise” with the sheer brilliance of her infectious vocals. Settle has such an intellectually creative charisma that never gives up or in. “Latch” features wildly sensual, soul-baring vocals by Sam Smith while singer Jessie Ware delivers an amazing neo-disco fierceness on “Confess to Me.” With Eliza Doolittle on the breakbeat-heavy “You & Me” and artist Jamie Woon on “January,” the album is bold, brazen and addicting.